Here's the sweet little guy taking a little snooze on my lap. This is very telling of what life is like with a newborn in the house. 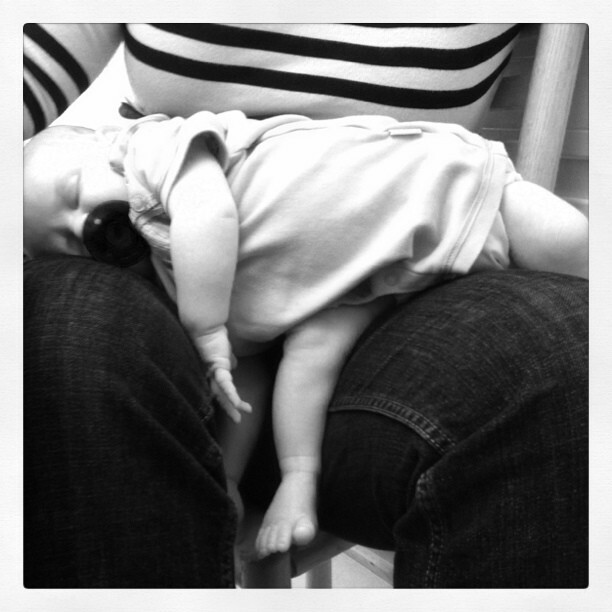 He will sleep anywhere, but most prefers to be near mom and papa. I'm looking forward to my first Mother's day with three. oh my gosh, he’s gotten so big!!!! fabulous photo…I think it would win a contest!